Andy Rubin’s Essential Phone is already picking up the November security patch that Google just dropped yesterday on Pixel and Nexus devices. The update only weighs in at 57.4MB, but it also includes fixes for fingerprint related issues that arrived with the previous update. I’m hoping it revives the dead fingerprint sensor on my white version that support told me was a known bug as well (Update: It did! Update 2: And then it died again. Getting a replacement phone.). The new build is NMJ32F and is still Nougat, obviously. To grab it (because it is live), head into Settings>About phone>System update. 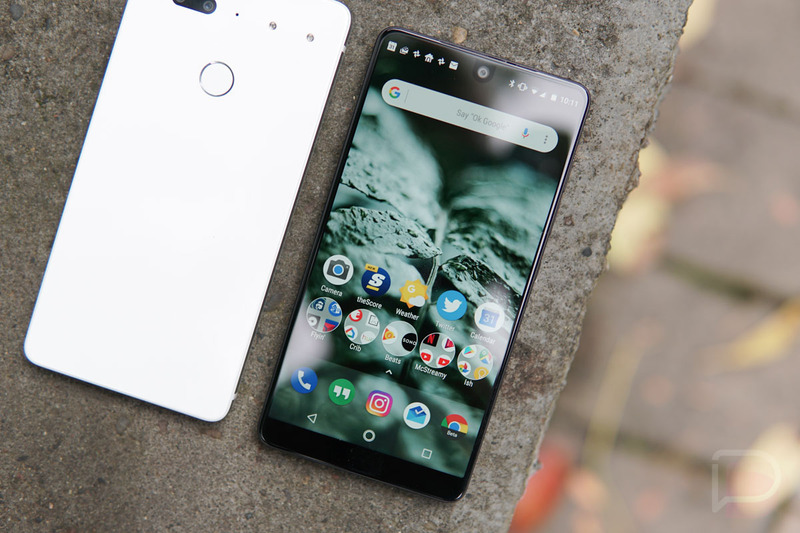 For those who missed our post yesterday, because I know someone will ask – yes, the Essential Phone is 100% worth considering right now. I’ve been using it again for most of the past week and haven’t tired of it at all. I really like this phone a lot, outside of its below-average camera. But it’s things like this (fast security updates and bug fixes) that have made it a phone I can’t put down. Oh, and the beautiful hardware. Best Buy still has the phone priced at $449, which is $250 off retail. We're rolling out a software update (build NMJ32F) with the November security patch + a fix for fingerprint gesture related instabilities.